Clannad is based off a visual novel. It follows the story of a high school senior named Tomoya Okazaki, a delinquent who floats through life caring about very little. He hates the town he lives in and his alcoholic father. He and his friend Yohei Sunohara spend most of their time skipping school and pranking other students. Things change however when he meets a girl, Nagisa Furukawa. He ends up taking an interest in her and decides to help her revive the school's dying drama club. Along the way he meets a number of other girls that he befriends and helps in their various goals around the school. As he helps the girls, Tomoya grows in turn and begins to care about the town. 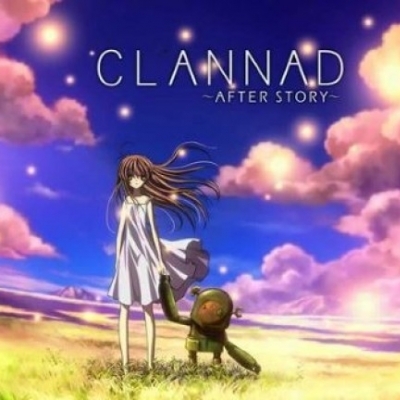 Clannad has two seasons, the second season is dubbed 'After Story' Cause it features what happens after Tomoya and Nagisa graduate and starts their new life together.